One of the goals of the UW Urban Canid Project is to learn more about urban coyote and fox ecology to be able to proactively manage for peaceful coexistence. With the right knowledge, living with wild urban canids can be safe, enjoyable, and rewarding. While conflict with coyotes and foxes is a real possibility, it is largely avoidable. Here are some tips to make your yard safer when living with these wild neighbors. This is the best advice for avoiding conflict. Animals that associate people with food become more curious and dependent on humans while losing their natural fear. Feeding pets indoors and properly containing trash is crucial to avoiding conflict with canids. When birdfeeding, regularly collect fallen seed to avoid attracting rodents, a favorite prey item of fox and coyotes. 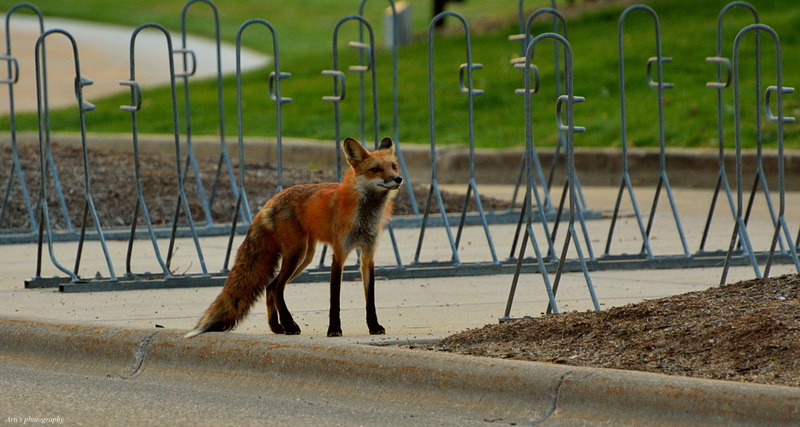 It is important that urban canids maintain their natural fear of humans. If an animal is not behaving normally, we recommend hazing techniques to minimize the chance of conflict. Techniques include yelling, clapping, and throwing objects in the direction of the animal (see video below). These aggressive acts help to naturally re-instill a fear of humans. Mutual respect is the best way to peacefully coexist with urban canids. Most people live in close contact with canids their whole lives without knowing it. Our actions shaped their adaptation to this urban landscape and will continue to shape them going forward. Respecting these wild neighbors will help to foster a community of peaceful coexistence.